Thank you for your email! We will get back to you soon. If Nicky is the energy and power behind our guides, Xiang is the operative and strategic brain of the company. He works especially with our Asian guests, making sure they have a great experience in Lapland and can get all the same service as our english speaking international guests, but in their native language. Nicky is the power behind our amazing guides, always cheering everyone to do their best. He truly cares about our guest and is ready to do whatever it takes to create them the most amazing experience possible. He knows everything there is to know about Saariselkä. 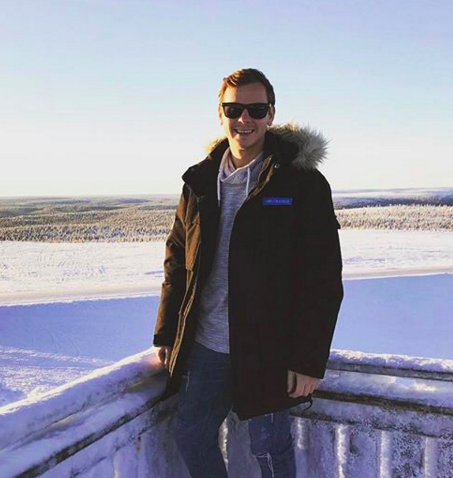 He has been the Destination Manager for Timetravels Saariselkä for many years and is the go-to-guy when you need a exclusive experience and a once-in-a-lifetime experience in Lapland. Susan is the Office Manager and takes care of our FIT department in Saariselkä. She is an amazing little fire-cracker that is always on a good mood and makes everyone around them feel happy with her laugh. Janne a.k.a "Uuno" is the mastermind behind our guide operations making sure our guides are on top of their game and prepared to create once-in-a-lifetime experiences for our guests. Uuno has been a travel guide for years around the world but Lapland has stole his heart. He knows Saariselkä like the back of his hand. You can trust you lives with "Uuno" as you are in great hands. Matti is our Mr. fix-it-all and one of our best guides. He can fix pretty much anything (not even kidding!) and is always willing to help everyone out no matter what the situation is. He has been in Saariselkä, Lapland for few seasons now and knows the place like a local. Our guest are in good hands with Matti makes everything goes smoothly and he is always ready to go the "extra-mile" to make sure our guest have the time of their lives. Our team is hand picked and consists of individuals with a can-do-attitude, sports background and a big smile! All our guides at Saariselkä are Finns so that our guests get the most authentic experience possible.